Parker hydraulic components in Pomona CA come from an industry leader in core motion and control technologies. Parker has a long history of making high-quality parts that deliver excellent performance in all kinds of hydraulic applications, from aerospace technology to process control. Yet Parker didn’t stop innovating just because they’d designed hydraulic components that worked great. They continue to refine their designs and introduce new versions of their products to provide consumers with the very best in fluid motion control technology. 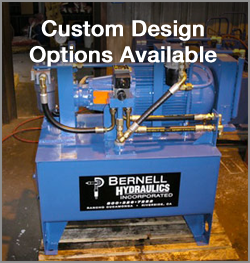 The instant a hydraulic component fails, contact Bernell Hydraulics for help. You can come to our store, or we can send a skilled technician to you. We can examine your hydraulic system onsite and determine what the problem might be. We can then recommend the appropriate Parker hydraulic components in Pomona CA that will be required for the repair. Thanks to our huge inventory of Parker parts, it’s highly likely that we will have the part you need in stock and be able to complete the repair the same day you call.